Layering up and looking ahead. That’s right guys, our outerwear collection is growing – here’s how you can style it. The shacket’s got a reputation, known to dabble in both the shirt and jacket division. The shacket is best layered over a simple foundation piece like a t-shirt. If you want, you can also keep the shacket on inside as it acts like a sturdy structured shirt. Perfect for the coming spring. The mac is a close relative of the trench coat. This coat is an easy, put together statement piece. It does just as well dressed down as it does up. As for layers? Adjust to your liking, the mac’s cut is fitted but it’s also a coat that easily allows for a few layers of comfort and warmth. Pairs perfectly with trousers or denim. 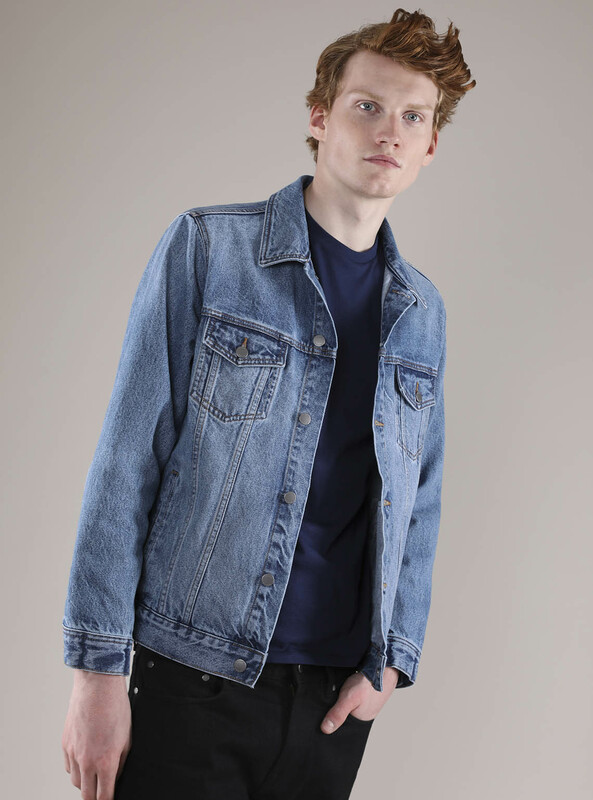 A denim jacket with a modern oversized cut is all you need to keep you feeling current. For the best denim effect, we recommend a simple t-shirt and some dark washed denim for a more muted denim on denim feel. If you’re facing chillier temperatures, then there’s always room for some cashmere insulation. It’s the perfect defence against chilly winds. The parka comes from a long history of cold weather designs. We’ve left ours light, and airtight, to give you the option of multiple layers, or a simple solo one. The choice is yours.